When you prepay more tax than you owe, file for a refund. Many people overpay federal taxes throughout the year and get a refund in the springtime. Every January the Internal Revenue Service releases a schedule for anticipated refund dates based on the filing date. Once you file your tax return, the IRS offers three tools for determining when your refund is issued: online, by phone and via a smartphone application. All of these tools are based on the same database and give the same projected date information. The IRS provides an online tool on its website for checking your federal tax refund status. The Where's My Refund? tool updates 72 hours after the IRS acknowledges receipt of your income tax return. The website tool provides the status of your return, including processing, and eventually updates to let you know the projected refund date. To access the information, you need the taxpayer ID number, filing status and the exact refund amount. 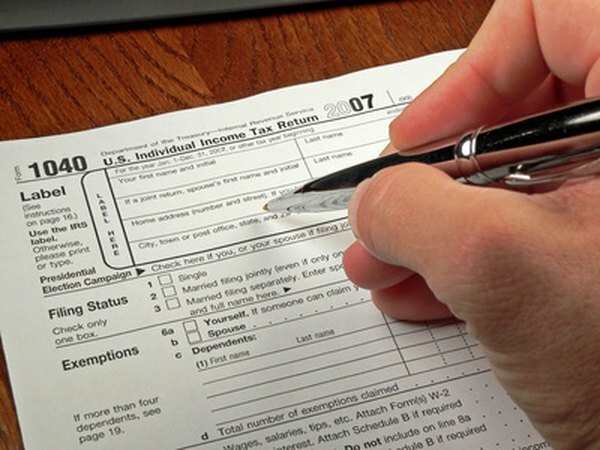 The IRS automated telephone system also provides status updates on tax returns and refunds. The number is 1-800-829-1954. This tool draws information from the same database used by the online Where's My Refund? tool. You'll get the same information from both services, including your current status and projected refund date. For security reasons, the system requires you to enter your taxpayer ID number, filing status and the exact refund amount. The IRS provides a smartphone application for checking your federal tax refund status, ordering transcripts and getting latest news. To check your refund or return status, you must supply your taxpayer ID, filing status and the exact amount of the refund. The IRS2Go application is free to download from the iTunes App Store for the iPhone or the Google Play Market for Android devices. Many e-file tax preparation services such as Turbo Tax and H&R Block notify customers by email with an expected refund date that matches the IRS schedule. You may get your federal tax refund status information by email from your tax preparation service as the company is updated by the IRS. Some preparers refer customers directly to the IRS website for updates.